Already known as the wedding capital of the world, Las Vegas is about to host a lot more weddings. And Las Vegas tourism couldn't be happier. After Nevada legalized gay marriage last week, the Las Vegas Convention and Visitors Authority and agency R&R Partners—creators of the famed "What happens here, stays here" campaign—quickly rolled out a full-page ad in USA Today celebrating the momentous occasion. "This is an historic day for Las Vegas and the great state of Nevada," the LVCVA said in a statement. 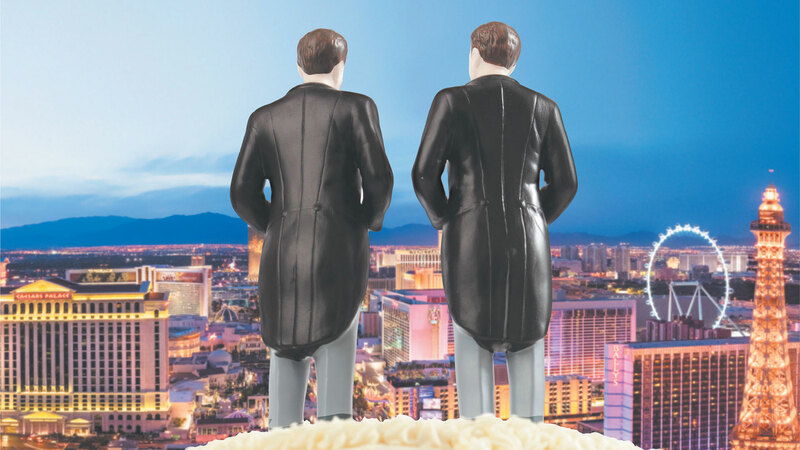 "As the 'Wedding Capital of the World' and one of the top destinations for lesbian, gay, bisexual and transgender visitors, Las Vegas welcomes LGBT couples wishing to legally recognize their relationship. There is simply no better destination to host a fabulous wedding followed by a one-of-a-kind honeymoon." The ad points to a new microsite, lasvegas.com/gaytravel. See the full newspaper ad below.